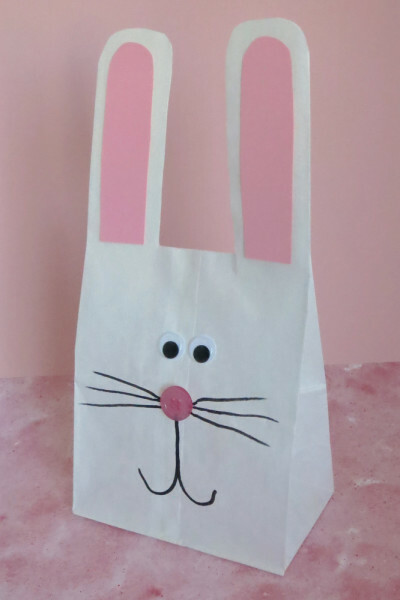 Turn a paper bag into a cute bunny! All you need is a paper bag, construction paper, googly eyes and a button. You can also add an adorable cotton ball tail.